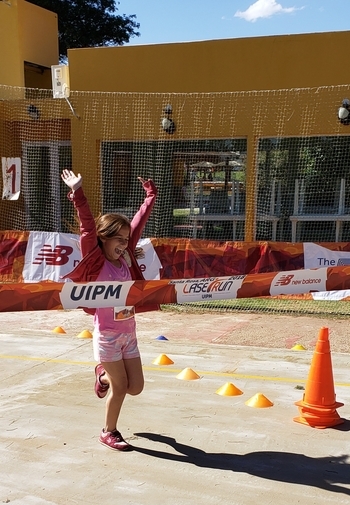 The feelgood factor from the 2018 Youth Olympic Games in Buenos Aires continued to be felt across Argentina when 250 young people took part in a Global Laser Run City Tour in Santa Rosa City, La Pampa. Attended by Jorge Salas, President of the Argentina Modern Pentathlon Federation and South American Confederation, and well-known coach Rafael Acosta, the event was organised by a new pentathlon club and gained extensive media coverage. At the end of the competition, it was confirmed that La Pampa will provide a new pentathlon programme for the Argentina federation. Laser Run is a development sport of UIPM but aspiring athletes of all ages also have the chance to compete for global titles at the UIPM Laser Run World Championships, the fifth edition of which will take place in September 2019 in Budapest (HUN) in conjunction with the UIPM Pentathlon World Championships. Have you liked the UIPM Laser Run Facebook page yet?